FREE BOOKS! Ten Amazing Days of Advent Giveaways! IMPORTANT NOTICE: All Winners are announced at our Facebook Fan Page! Please stop by and “like” the page for updates! Winners are also notified privately by email. We’ve also had a late-breaking donation from Donna-Marie Cooper O’Boyle of three of her books published by Our Sunday Visitor. Donna-Marie will be guest-posting soon! Thank you so much, Donna-Marie! We’ll be giving her books away on December 15th. After the giveaway wraps up on the 15th, I’ll post all the winners at once. Greetings, Dear Friends in Christ! To thank our loyal readers and new fans, and help you celebrate with anticipation and joy the holy and beautiful season of Advent, we will be giving away FREE BOOKS! Win a FREE BOOK in one of our daily random drawings from December 6th (Saint Nicholas Day!) through December 15th! Enter to win by leaving a comment at ANY OF OUR COLUMNS, ANY TIME from NOW until December 15th! All comments dated from December 1st on will be eligible until the last prize is given away on the 15th. PLEASE HELP US SPREAD THE WORD by using some of our social sharing options! And do subscribe to the site for updates. 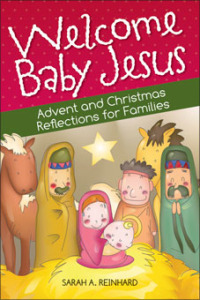 Sarah Reinhard’s “Welcome Baby Jesus”! See Ellen Gable Hrkach’s review and my review! This lovely volume is sure to enchant readers of all ages. So leave a comment at one of our columns between December 1st and December 15th and enter to win! A very blessed and happy Advent to you! Lisa, thanks for featuring my books this week! I’m thrilled to be in such great company — would love to enter the contest in the hopes of winning anyone’s book but my own! Thanks again and congratulations on the beautiful work being done here at Amazing Catechists! What a gift! Thanks for the opportunity to win… Merry Christmas! Great website and wonderful books. Thanks for your gift of the puppet shows. I just started using them for my first graders this year, and they are a huge hit! Thank you so much, Christine! That makes me very happy. Please let us know how we can be of continued help to you in your work for Jesus. And share some of your tips and treasures at Reader Submissions. Sometimes the simplest thing is just what another catechist needs to hear. Blessed Advent and Merry Christmas to you Lisa! Woohoo, this is so exciting! Way to go Mr. Basile! These materials are a great support for teachers. Thanks! There are contests that people win and weeks later forget about. This is a contest with an amazing prize that can be enjoyed for a lifetime! God Bless & Best wishes to all! Thanks for the opportunity to win one of these great resources! Just found your site through Lisa Hendey and so excited to be following you on FB to keep up on what’s going on here. I am teaching 6th grade this year and loving it! The giveaways sound fun! Thank you for the opportunity to win one of fabulous books. They all look fantastic. These books will help anyone grow in their faith! WOW! What an amazing opportunity to win such beautiful books!! Thanks so much. Blessings for a peaceful Advent. Thanks for the opportunity to win such great resources! Have a Blessed Advent season! What a collection! Just from the titles and authors I can tell this is a great site! I’ve added you to my bookmarks! Thank you for this wonderful opportunity! Happy Advent! I have never heard of this before. 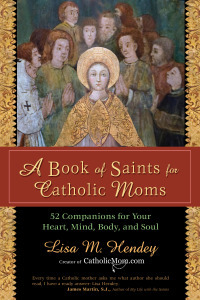 Thank you CatholicMom.com for leading the way. Blessed Christmas to all! I would love to win one of these books! Please enter me. awesome giveaway! Thanks so much! Wishing you a Blessed Christmas! Thanks so much! Another great adventure through CatholicMom! I am so grateful for the opportunity to enter. Advent is a season of preparation and although I have been a catechist for years, this is my first time teaching a Sacremental Prep class to 8 wonderful young ladies. These books will definitely be a great addition as I prepare them to receive God’s gifts! Thank you for sharing! Thanks for the great books. I am new to you site and love what you offer. I just found your web site and loved all the resources. Thanks so much! I just found your website and loved all your resources. Thanks so much. I recently found your site through Marc and have been inspired by all the articles and comments. Thanks for the opportunity to win these great resources. What a wonderful way to start off the beautiful season of Advent! Thank you for offering such great resources to your followers! Have a blessed Advent and thanks for all the great tips you give to us so we can be the best catechists ever! Love the website! ADvent Blessings! I am a volunteer PCL and love sharing great sites like this with my catechists – thanks! What a wonderful ideal! These books sound marvelous. Good luck to everyone & God Bless. These look like great books! I can’t wait to check them out both for me personally and for my position in my parish! 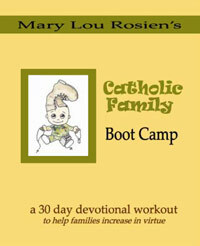 I would love the opportunity to win new books as I am always looking for new resources to use with my Level 1 CCD class. Awesome giveaway — thanks for the opportunity to win!! Amazing opportunity! Thanks! Merry Christmas! What a wondeful giveaway! I’d love to win something. Have a blessed Advent! Great books for giveaway – I’m in! Happy Advent! I’ve come from searching out “Catholic writer” books by Ellen Gable Hrkach and her post about this contest. I’d also love the Book about Saints! Thanks for the opportunity! Merry Christmas & God Bless! So many great books, and I’ve even read a couple of them 🙂 I’ll be watching my email to see if I’ve won something… 😉 Thanks for the giveaway!!! Love the AC’s new digs, Lisa – congrats! Happy Feast Day. Thanks for the opportunity to win 🙂 Keep up the great work for the Kingdom! Thank you! Sign me up! What a great way to encourage people in their faith by offering exciting contests like this. Thanks for the opportunity to win some great books!!!! Thanks! Great reading lists here, even if I don’t win! I’d love to read some of these books! Talk about an early Christmas present!!! Or better yet, yes, an advent present :). 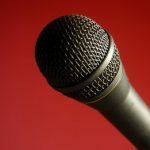 I just discovered your site through Catholic Writers. All the books sound amazing. What a wonderful way to spread our Catholic faith. Thank you for the information about these excellent books. Any of these books would be a wonderful gift! What a true blessing! I am always wondering how to do things at home with my kids. And explaining our beliefs, rituals, and traditions can become a real challenge. Thank you! cool, thanks for the giveaway! Thank you for your generosity is sharing these books! Excited for the chance to win one of these amazing books! Thank you for this opportunity and your wonderful website. I found your website through a recommendation from Colleen of Thoughts on Grace Blog. Thank you for the chance of winning one of these great books. I love it when people who have been blessed with writing abilities share that gift with others! Thank you and may your Advent Season be filled with graces and blessings! Wow! Hope I win! God’s blessings be upon you! I just have to post and thank you all so much for entering our giveaway. It’s been an exciting week, and I’m so pleased to “meet” you all. 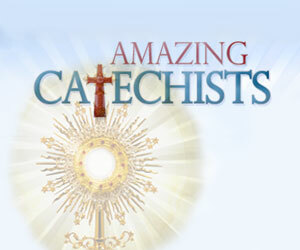 Welcome to Amazing Catechists, and thanks for “like”ing us on Facebook. Please do SUBSCRIBE to the site, as well, for updates on future events and giveaways! A very blessed and peaceful Advent and a very, very Merry Christmas to you all! One more day of giveaways! Dec. 15 we’re giving away 3 of Donna-Marie Cooper O’Boyle’s books! Stay tuned! Any of those books would be a real treat! God bless! Happy Advent and Mary-Christ-Mass to all! Thank you for a chance to win such wonderful books. Lisa, this is a great idea! I love all the articles in this website, what a great idea to gather all the works of wonderful Catholic Writers in one location. You are a great inspiration, thank you for all the gifts and graces that fill this website.